Journalist Costas Efimeros, founder and head of the information site, ThePressProject, Died on Tuesday morning at age 42. The young journalist, who was facing heart problems and had previously suffered a heart attack in 2008, succumbed to cardiac arrest. The news of his death was confirmed through facebook by his partner and mother of his children, Graneta Karatza, who wrote a touching message. “Costas left me two hours ago. We were as happy and in love as ever, “she wrote on her personal account. 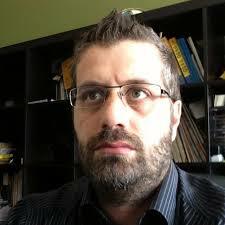 Costas Efimeros (Papadopoulos) was the publisher of ThePressProject and owner of BitsnBytes. He was a member of the European Center for Press and Media Freedom, the International Press Institute, Osservartorio Balcani and Caucaso for Media Freedom, and a Wikileaks partner.